HOW MUCH DO THEY EAT? 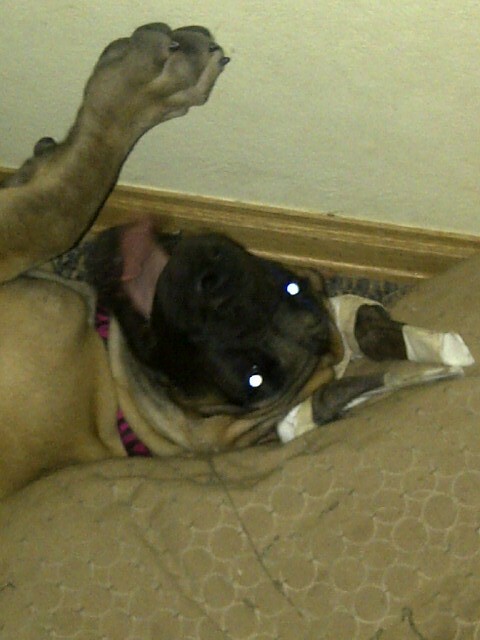 A Great Dane will not "eat you out of house and home." 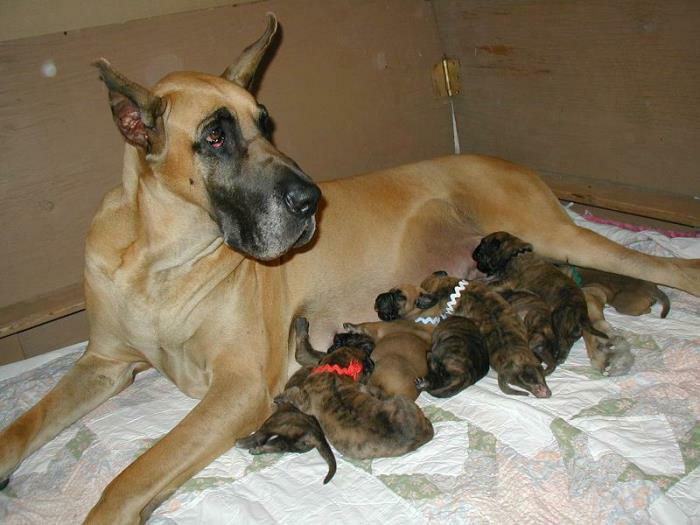 The fact is, a Great Dane can be raised and maintained on no more food than required for other large breeds. However it is generally recommended that puppy food NOT be fed to this breed. Usually a good quality dog food that is 22-25% protein and 15-18% fat is good. HOW TALL ARE THEY? 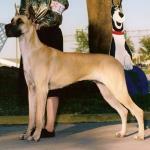 The Great Dane standard says that a male should be a minimum of 30 inches, a female 28 inches. Because Danes are born at about one to one and one-half pounds, they grow rapidly during their first year although it may take as long as three years before they reach full maturity. A full grown male of 37" height may weigh up to about 190 pounds. ARE THEY GOOD WITH CHILDREN? Definitely. I would caution that you watch Danes and children when they are together just because a Dane is so big that even just licking a child may knock them over (of course some kids think this is great). ARE THEY EASY TO TRAIN? 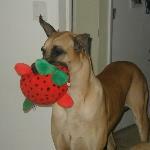 Because of the size of the animal, the Great Dane MUST be trained and this must be done early in his life. Fortunately, Danes are eager to please and will begin responding to commands as soon as they understand what you want of them. WHAT ARE THE GROOMING REQUIREMENTS? Very minimal grooming is needed. 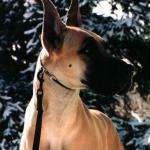 Danes are short haired dogs so there is no required daily brushing, trimming, stripping etc. A bath, nail trim, and teeth cleaning when necessary are all that are needed although a brush will be appreciated especially when doing what little shedding they do. WHAT COLORS DOES THE GREAT DANE COME IN? 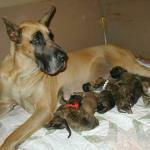 The Great Dane Club of America accepts only SIX COLORS: Fawn, Brindle, Black, Blue, Harlequin, and Mantle. Other colors may be acceptable pets, but do not be deceived by advertisments for "rare" colors. These are *NOT* rare colors, they are mis-marks bred by breeders with no regard to the Great Dane Club of America color code of ethics. ARE THEY GOOD WATCHDOGS? The Dane's size and bark will discourage most intruders, yet he will learn to recognize your friends and receive them cordially. 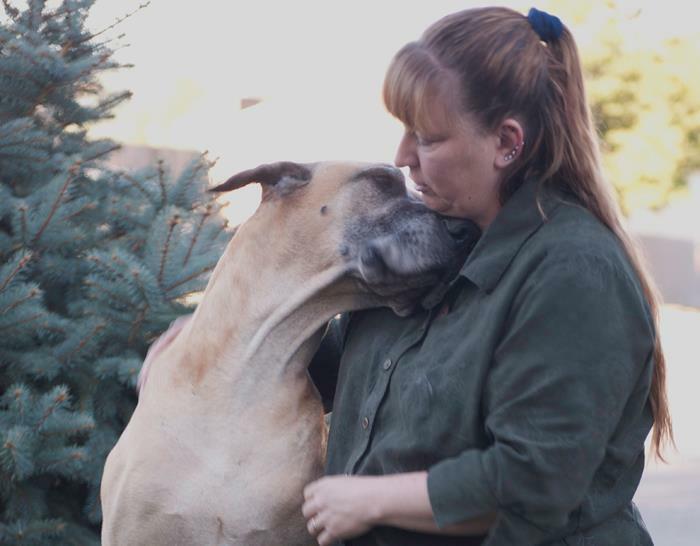 If an intruder gets by the size and barks, your Dane may decide to lead him straight to the family silver since he would much prefer to be a friend to all. The one exception to this is when a member of the family is being threatened. The Dane's instinct to protect those he loves becomes very apparent at this time. HOW MUCH ROOM DO THEY NEED? 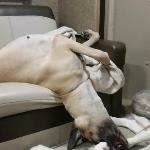 The Great Dane is an indoor, family animal. While they may survive being an "outdoor" dog, they will not be a healthy, happy dog. 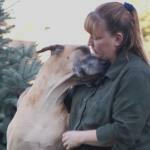 The Great Dane thrives on human contact. This does not mean that Danes need constant attention. They can be left in a fenced yard for a sunny afternoon, will curl up at your feet at night, or can be crated at night just as long as they are with you. Many Danes will sleep in another room, especially if there are more than one of them, but of course prefer to be with a member of the family. 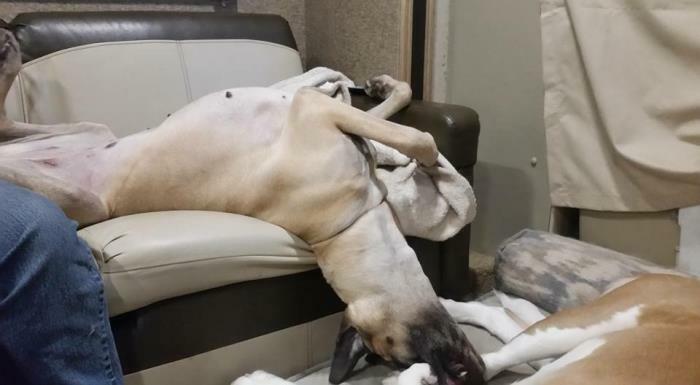 Yes, Great Danes can live in an apartment, especially older ones. The apartment dweller must be walked frequently to make up for the exercise he would normally take at his leisure. WHAT ABOUT HEALTH ISSUES? 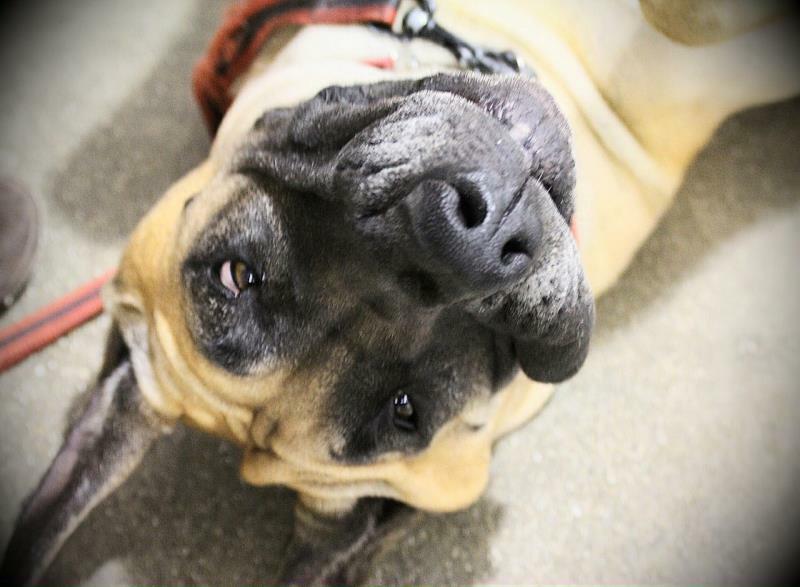 The Great Dane, like any large breed, can have various health issues including hip dysplasia, eye problems, and heart problems. Check with your breeder and be sure that both parents have been OFA (Orthopedic Foundation for Animals) certified free of hip dysplasia, CERF (Canine Eye Registration Foundation) certified for eyes, and they've been checked for heart problems such has cardiomyopathy. 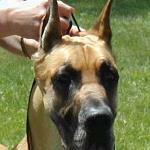 Great Danes should also be checked for thyroid and Von Willibrands Disease (vWD). 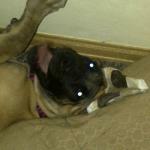 Great Danes also have a high incidence of bloat and cancer. Find out as much information as you can about grand-parents, great-grand-parents, too. WHAT IS THE AVERAGE LIFESPAN? 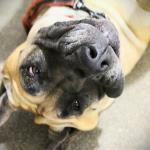 The average lifespan of a Great Dane is about 8 to 10 years. Some will live longer, of course. Unfortunately, some will not live as long. 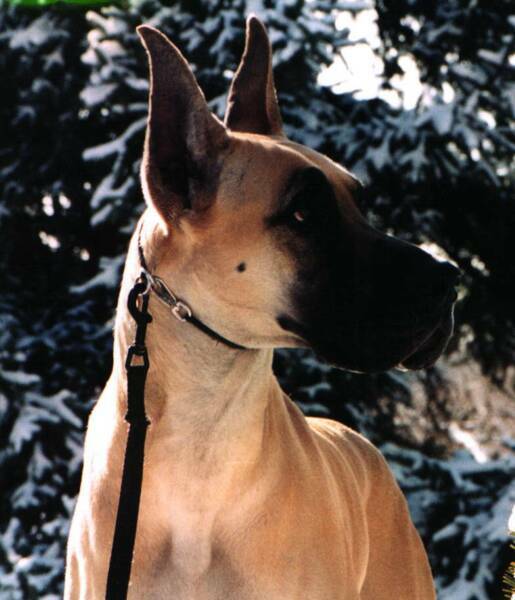 Buying from a well-respected breeder who breeds for longevity, health, and temperament will increase your chances of a long-lived Great Dane.